Liverpool will be aiming to jump to the top of the Premier League standings when they face Southampton on the road tonight. The Reds are currently one point behind Manchester City in the title pursuit, but they can leapfrog to the first spot in the current gameweek with the Citizens on FA Cup duty. Alisson has failed to keep shutouts in the past three league games for Liverpool and he will be keen to rectify the same against the Saints. He is expected to start in goal with the aim of securing an 18th clean sheet for the season. In the defence, no changes are expected and this should witness the same combination from the past week. Trent Alexander-Arnold and Andrew Robertson should slot into the full-back roles with Virgil van Dijk and Joel Matip making up the central defence. 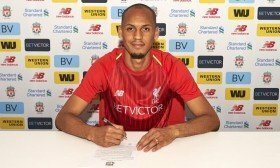 However, the same may not be the case in the midfield where Fabinho could re-enter the fray after an impressive cameo appearance in the recent win over Tottenham Hotspur. The Brazilian could be partnered by Georginio Wijnaldum and James Milner in the centre of the park with Jordan Henderson dropping to the bench. In the attack front, Jurgen Klopp has no selection concerns and the constant figures of Mohamed Salah, Sadio Mane and Roberto Firmino should feature. Salah is desperately in need of finding the net after going eight consecutive games for the club without scoring.